PASA helped develop a full-color book that brings urgently needed education to children and families across Africa. The book profiles African heroes working for PASA member sanctuaries who are on the frontlines of wildlife rescue and care, and when children see people who look like them and live in communities like theirs, they are inspired to follow in their footsteps and protect primates living near their homes. Already the children’s book has influenced several communities across multiple African countries, and we are already started on developing our next book for circulation! The threats to the existence of great apes are increasing. A root cause is a pervasive lack of awareness among the people of Africa. To save great apes from extinction, there’s an urgent need for widespread conservation education. Africa’s great apes and monkeys urgently need you. You can help save them by making a contribution today. 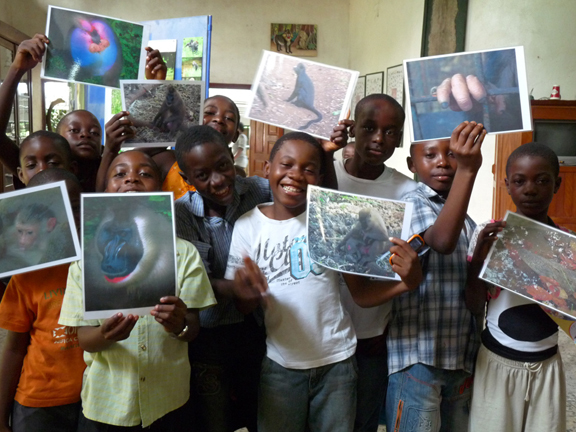 PASA’s three member organizations in Cameroon – Ape Action Africa, Limbe Wildlife Centre, and Sanaga-Yong Chimpanzee Rescue – collaborated with experts in the country’s education system to develop a pioneering, interactive program to teach conservation and compassion for wildlife. 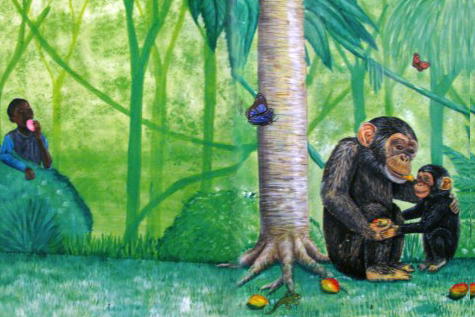 The program’s centerpiece is a children’s book titled “Je Protège les Chimpanzés” (“I Protect Chimpanzees”) which was custom designed for Sanaga-Yong. The innovative, fun five-day curriculum teaches empathy for chimpanzees and is filled with drawing, group projects, and other activities, standing in stark contrast to standard teaching methods in Africa. The program has produced vast improvements in students’ understanding of their roles in protecting wildlife. PASA is now building on this success and working with our member organizations across Africa to adapt the program to their own cultural contexts. This project produces a long-term, widespread change in attitudes and behaviors about conservation among targeted communities, which is urgently needed to save Africa’s endangered species from disappearing forever. Please donate today to inspire students to protect Africa’s endangered wildlife. Partial funding for this project is provided by generous support from the Sacramento Zoo and the Greenville Zoo.